Think the mining industry isn't a very large industry? Think again. 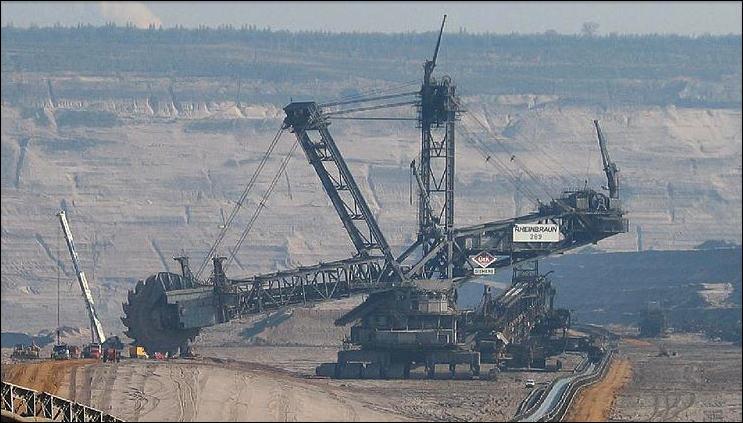 The mining industry is actually a much larger industry than you may have imagined. According to a recent report, the mining industry has now exceeded $1.5 trillion worldwide. Just 10 years ago, the mining industry wasn't nearly as big as it is today. But with a continued increase in our world's needs for and usage of many mined resources, the mining industry has seen large growth, especially very recently. These mined resources, including resources like coal, and metals like iron, copper, aluminum, precious metals, etc, and our usage of them, have continued to create growth in the mining industry. The mining industry is at a current top point, but that hasn't always been the case, even in the very recent past. At the end of just last year, the mining industry started to see an alarming low come into play. The demand for these mind resources just wasn't as high as it had been in the past. Because of this, many of the larger mining companies began to lessen their mining efforts and spending. This caused a very large halt and gap in the mining industry. Even at the beginning of this year mining is still at a current low. But that is looking like it will begin to change very soon. According to a recent press release, the mining industry worldwide has exceeded $1.5 trillion. Even though the mining industry has seen a recent slowing in production and spending, it is trending to start growing again soon, and that growth is predicted to make the industry larger than it has ever been. That is because the demand for these mined resources has begun to rise again. Just as quickly as it fell last year, it is rising again. Even though the mining industry saw a short lull last year, that by no means is affecting the mining industry's long term relevance or numbers. There have been many mining projects that have begun just in the past few years. With the continued growth of these projects, it is projected that 2013 will be the biggest year yet for the mining industry. While 2013 is expected to be a big year for the mining industry, 2014 is predicted to be another fairly low year for the industry as a whole. That said, most experts consider these waves in the industry to be very temporary problems. The long-term, more permanent projections for the mining industry as a whole are very positive. Most experts predict that the mining industry will continue to see an overall growth in the industry. That is because many underdeveloped countries are seeing very recent increases in their development. With those increases, there has also come an increased need for these mined resources. Because of this, the mining industry is expected to continue to grow. With this increased demand, the countries that house the most of these valuable resources, like Australia, Brazil, China, Peru, and more, are expected to see the most growth in their mining industries. About the author: Nicole is a writer in the mining industry. She recommends allight sykes self priming pumps.